In a more dramatic restaurant announcement than usual, members of the media were invited to a secret pop-up dinner called The Secret Taste at an empty $5.5 million-dollar mansion up for sale in River Oaks. 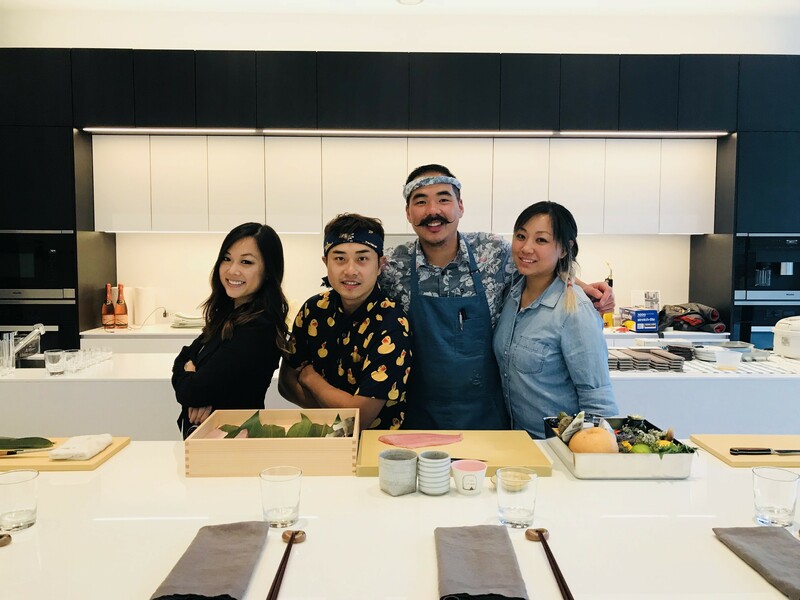 There, two sushi chefs with high-end restaurant experience, Patrick Pham and Daniel Lee, revealed they have plans to open their own Japanese restaurant named Handies Douzo. Joining them is longtime Houston pastry chef Dory Fung, whose previous experience includes Poitín and Yauatcha. The trio are seeking a spot inside the 610 Loop for this modern Japanese concept that emphasizes hand-to-hand service. (Douzo is a term used when handing something by hand. Pham and Lee spent years cooking and training together at popular Montrose restaurant Uchi and now want to bring their collaborative skill and style to a new audience. In preparation for these plans, Lee has already left Uchi while Pham, formerly the head sushi chef, has taken a smaller role there. 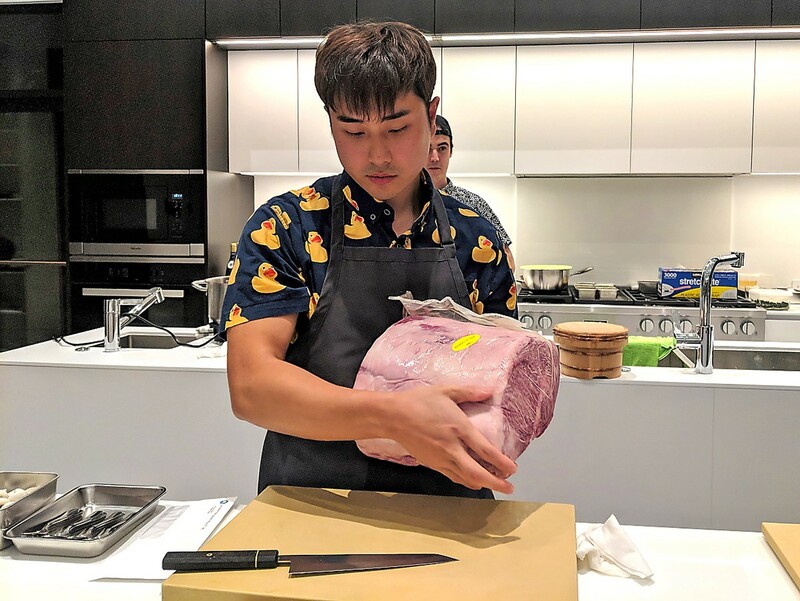 Daniel Lee prepares to make Wagyu sashimi with a 14-pound hunk of A5 wagyu. Photo by Carlos Brandon. 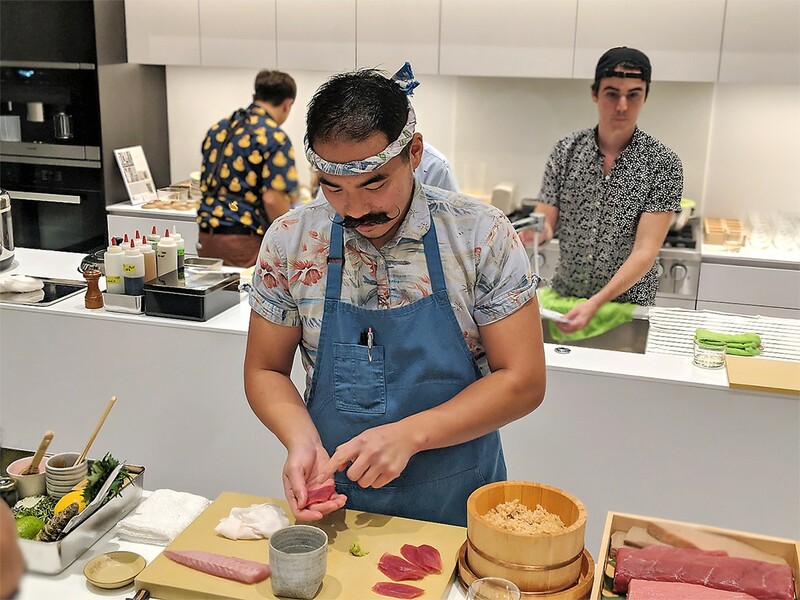 The Secret Taste pop-up dinners are continuing on a monthly basis while Pham and Lee find a suitable home for Handies Douzo. Besides hosting their dinners in unique and exciting venues each month, the chefs will change the menu for each iteration so that no two meals are the same. Though the group launched with four dinners in two nights, they hope to expand to perhaps three or four meals per day in the future. The cost per event will vary depending on the menu but is expected to be between $100 and $200 per seat. Japanese barracuda nigiri at The Secret Taste pop-up, a preview of forthcoming Handies Douzo restaurant in Houston. Photo by Carlos Brandon. While the courses are modern, the dining and service style is traditional omakase. The chefs prepare the bite-sized courses in view of the guests, progressing from light to heavy. The courses are paired with specific wine and sake selections and there’s an interlude that features Fung’s palate cleanser of pineapple and yuzu sorbet. Noteworthy dishes include fatty tuna nigiri with fresh wasabi, jellyfish, uni and Fung’s matcha cheesecake topped with strawberry slices and strawberry-miso ice cream. 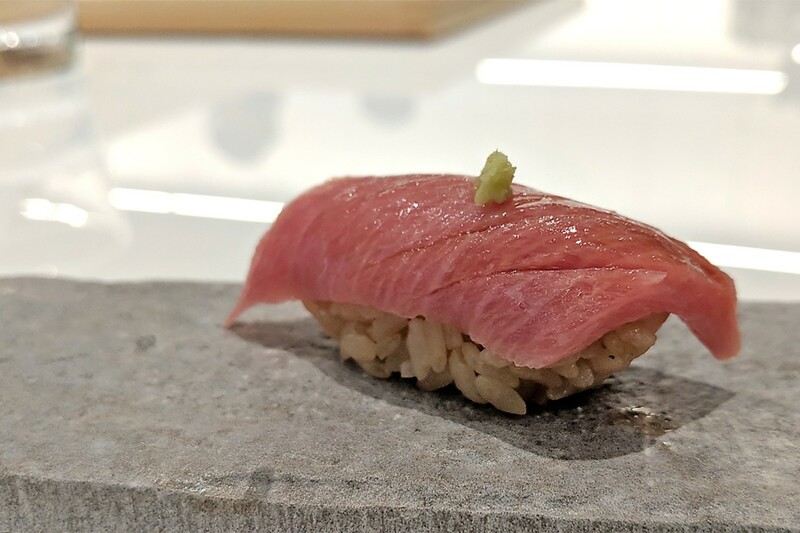 The fatty tuna is particularly elegant, as it is a beautifully marbled cut of fish that’s pressed gently over Pham’s uniquely savory vinegar rice. 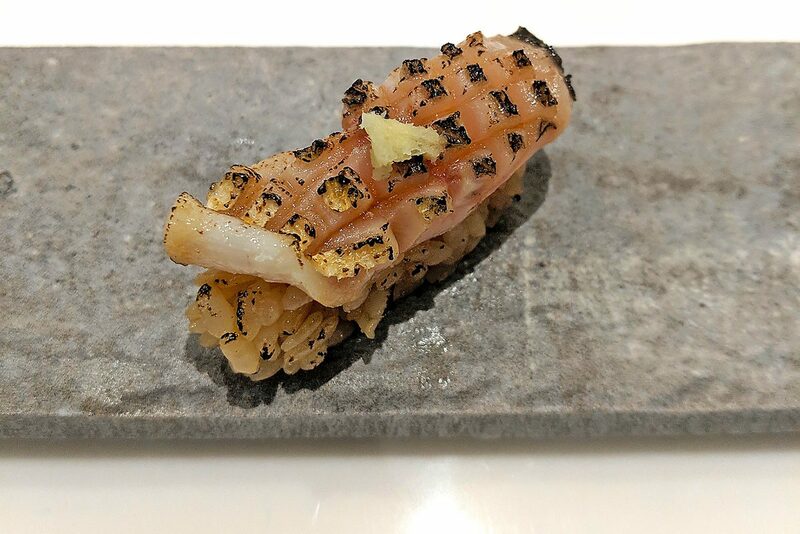 The torched Japanese Barracuda, an unfamiliar raw fish for American diners, is a revelation in both taste and presentation. Fatty tuna nigiri with fresh wasabi. Photo by Carlos Brandon. The hot dishes are just as intriguing and well-made, including a steamed egg in a small clay pot topped with shrimp, fresh uni and caviar. The crown jewels, though, are the beautifully thin A5 Wagyu sashimi cut directly from a whole hunk of the precious marbled meat. These are then seared ever so lightly with a giant torch. Though information is scarce at the moment, more is going to be added to both The Secret Taste Instagram feed and Handies Douzo website in the coming months. Diners interested in this unique omakase experience should keep an eye on both.